Only enough time for a very short history. 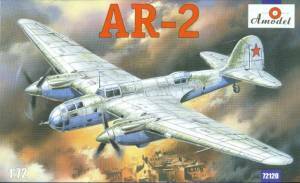 The Arkhangelsky Ar-2 was the dive-bomber version of the Tupolev SB. So far the best reference on not only the SB but also the Ar-2 is the stunning Tupolev SB book put out by Mikhail Maslov, which is definitely needed if you're at all interested in any of these aircraft. 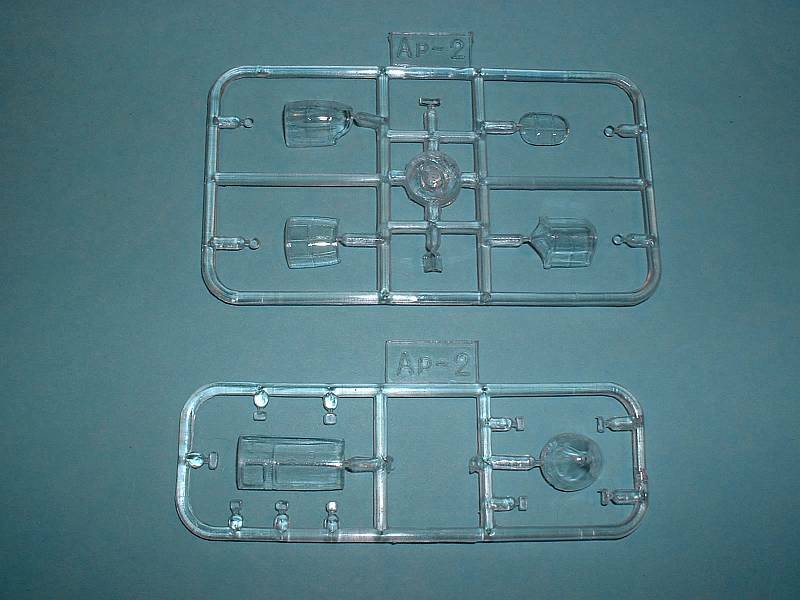 The Amodel Ar-2 kit consists of 109 light blue/off white injected plastic pieces, along with 22 thick clear pieces. There are no options and nothing besides the wheels wells can be displayed "open". There are decals for four schemes, all but the 10 AR machine AII Green over AII Blue: "White 4" from the 33 AR, Summer 1941; "White 3" also from the 33 AR, Summer 1941, "White 2" from AR 2 in July 1941; and finally a winter white-wash over AII Green and AII Blue machine from the 10 AR in the Spring of 1942. The sheet includes a decal for the pilot's instrument panel. Construction starts with adding items to the inside of the fuselage halves. 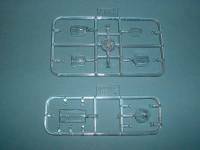 Since opening any of the clear pieces up would require plenty of work the items included with the kit are adequate for a closed-up aircraft. I would venture to say that the interior - because of the time-frame and the fact the fuselage was metal - would be painted in Metal Use Primer. 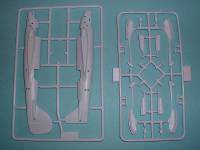 Once all interior parts are added to the fuselage halves then those halves are assembled. 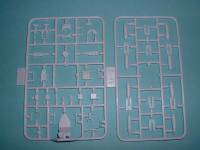 It's important to keep in mind with any Amodel kit that plenty of dry-fit is needed. While Amodel kits are generally known to be accurate and of subjects not normally covered, they also can be considered "short run" meaning that plenty of clean-up and dry-fit is the "name of the game". 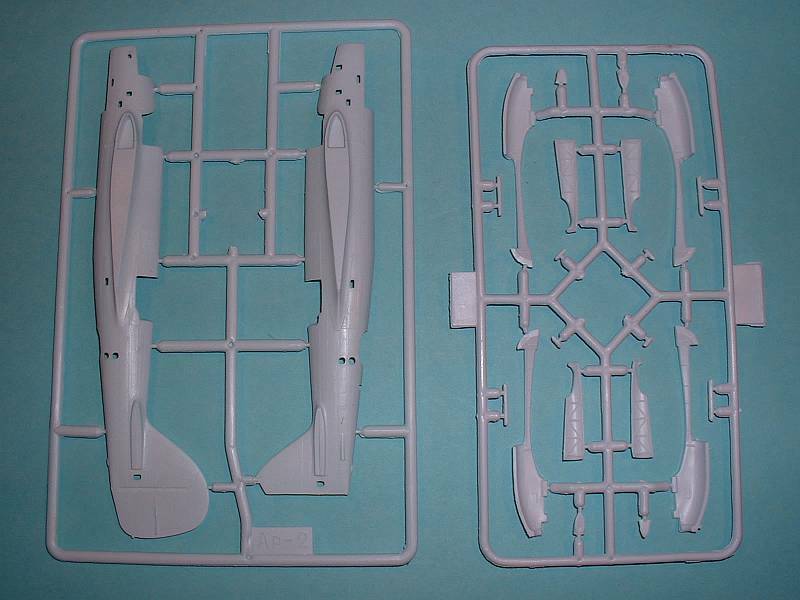 Once the fuselage halves are assembled then various other parts are added to the exterior, including the clear pieces. If deciding to keep the model "closed up" then it's highly recommended to add the clear parts as presented in the instructions to check for any fit problems. 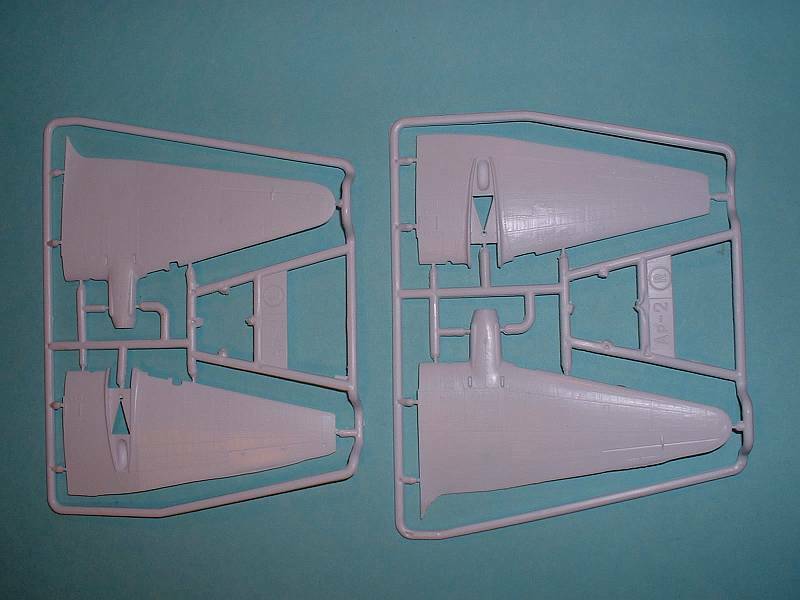 Now the wings are assembled, starting with adding all the separate pieces for the insides of the wheel wells. Thankfully these appear to be complete and are "closed" so there should be no see-through effect to other parts of the inside of the model's wings. This is not always the case with some models (the ICM Su-2 comes to mind). 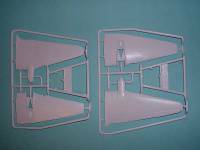 The nacelles are assembled and all parts are added to the wing halves, and the wing halves assembled together. The instructions would have you add the landing gear legs at this time. It appears these can be added after painting, which is always a good idea. This eliminates the tendency to break these parts off as the model is handled during assembly. Now all the final pieces are added to the model prior to painting - wings attached to the fuselage along with the horizontal tail pieces. I would leave the bombs and diving slats off until after painting is accomplished. 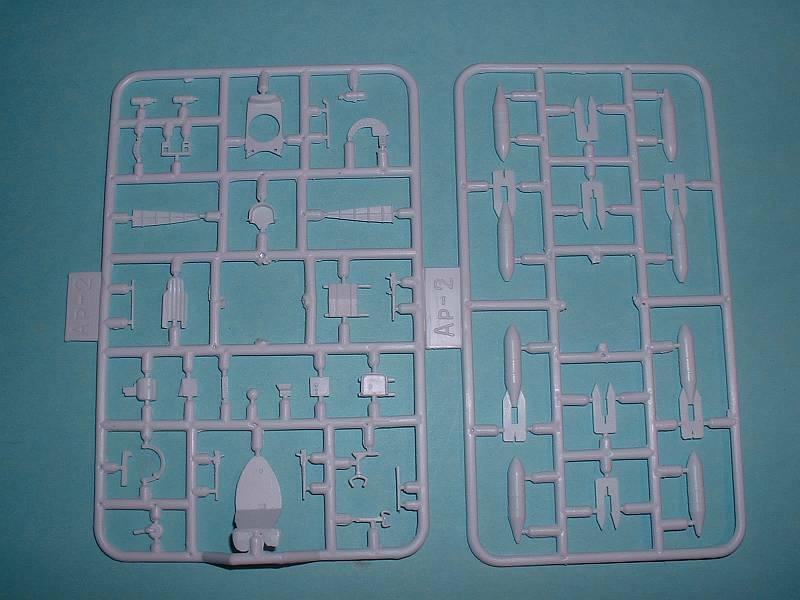 While the 1/72nd world waits for an accurate Tupolev SB, the Amodel Ar-2 will fill the need for an SB equivalent until someone releases an accurate SB. 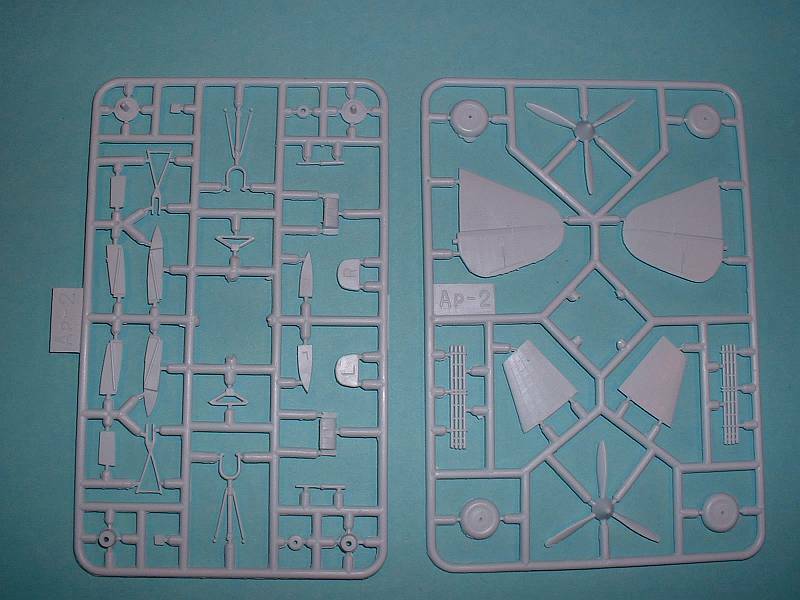 While Amodel kits tend to be not the easiest in the world to assemble, they come out with such unique subjects that they should not be overlooked. 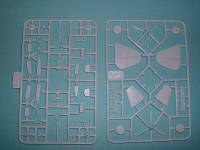 Consider Amodel kits worthing of "true" modeling abilities. If wanting to open up the Ar-2 plenty of work is involved. I personally think the fuselage sides are too thick to be shown with the canopies open so that will need to be addressed. Then anything that goes into the interior will have to be updated and corrected to "bring the kit in line". Then you'll have to somehow make your own clear parts as out-of-the-box they're also too thick to be displayed in the open position. However, all of this work is not beyond the ability of most modelers and not needed if keeping the model "closed". While the Ar-2 was kitted before by Pavla, it's a very inaccurate kit and not recommended. The Amodel kit is much more accurate and definitely looks more like an Ar-2. The Amodel kit is definitely recommended.